Mickey Mouse Printed Body Mist - 160 ml | Multicolour | Helps in moisturising and keeping baby's delicate skin at a healthy level. 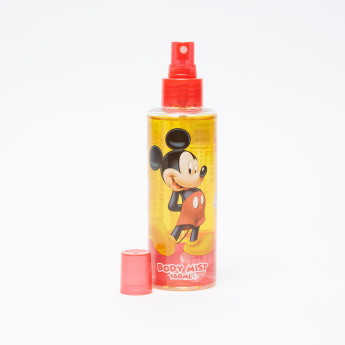 Keep your little one's delicate skin moisturised with this Mickey Mouse inspired printed body mist. Made from organic materials, the mist will leave your little one's skin healthy and soft. Feature 1 : Helps in moisturising and keeping baby's delicate skin at a healthy level. Feature 2 : Your little one lovable Disney character.